Semi Finals of The Voice Of the Philippines Season 2 had started brewing on February 21, 2015. Each of the team currently has two artist and soon there will be only one. Since it is the semi finals, new rules will be introduced in the game. Alisah shared that it is her dream to finish her studies. She stopped her studies to give way to her younger siblings. She admitted that she wanted to have a singing career but she also knew that she can give a better life to her family of she could finish her studies. Singing ‘Lipad ng Pangarap’, an iconic song of hope, she wanted to share her dreams to the listeners. Sarah said that she had done a perfect song. She compared Alisah to Charice Pempengco. Her life is an inspiration to many. Apl said that Alisah herself is a definition of hope. She is a good example to the youth. Daryl had chosen ‘Take Me Out of the Dark’ to share his past. He said that his family had been there despite being lost along the way. He had a son at an early age and did a lot of this he regretted, yet his parents had shown love and care to his child and him. Bamboo said that every week had been a nice a smooth performance from Daryl. Apl said that no matter what song, Daryl was able to make it as his own. 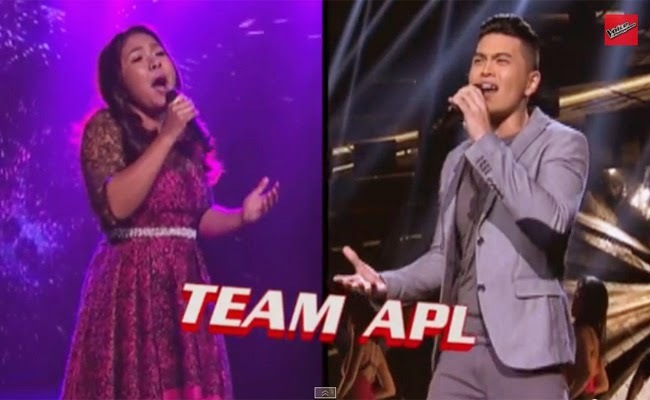 Who will represent Team Apl in the Finals?